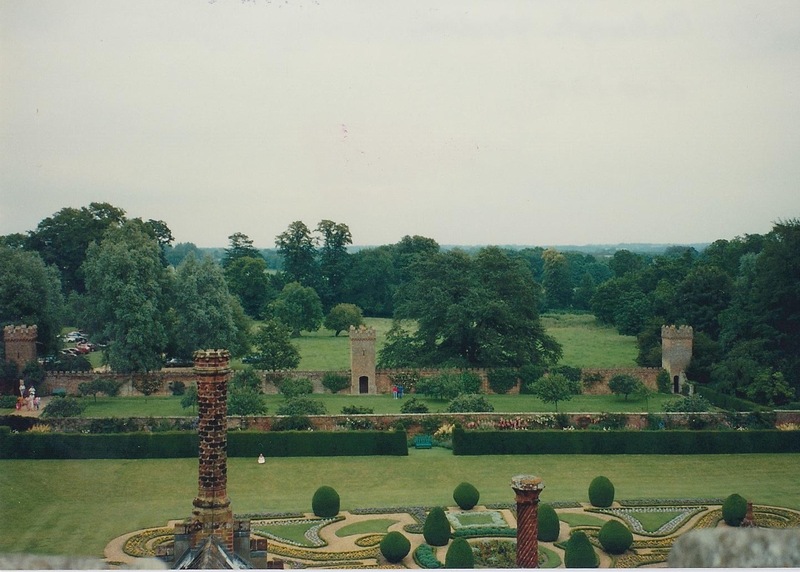 A formal English Garden has many boundaries, usually some sort of hedge. The hedges separate the different kinds of plants in each area of the garden. This one is at Oxburgh Hall, near Cambridge, UK.